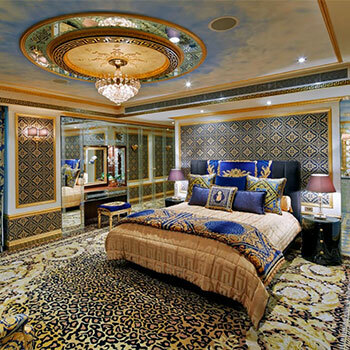 Palazzo Collezioni is Australia’s leading high-end interior design/furnishing company. They represent several high-end brands such as Versace Home, Roberto Cavalli Home, Bentley Home, Blumarine and Fendi Casa. They needed a website that not only allowed them to easily showcase these brands, but also purchase online. We were engaged to redesign the website to reflect and underpin Palazzo Collezioni’s superior brand, products and services. Palazzo Collezioni’s brands are famous because of their meticulous attention to detail and design. We had to make sure that the web design was focussed around their product and did not distract the user from them in any way. We worked with Palazzo to create a black and white colour scheme that uses the largest images possible to allow products to take centre stage. The design also had to cater towards several brands and ensure that each retained their own identity. Palazzo Collezioni had thousands of products they wanted to showcase. We developed a custom catalog to allow them to easily manage all of these. 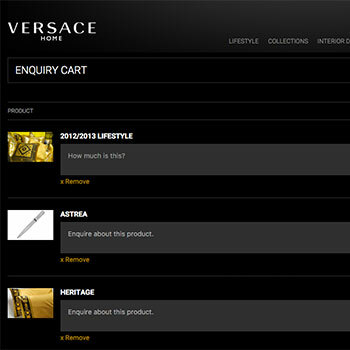 A Wish List function was built into the catalog to make it easy for users to enquire about products they loved. This feature is also used in their boutiques for walk in customers. We developed a bespoke shopping cart solution which separated the brands during browsing but still combined all of the products during checkout. 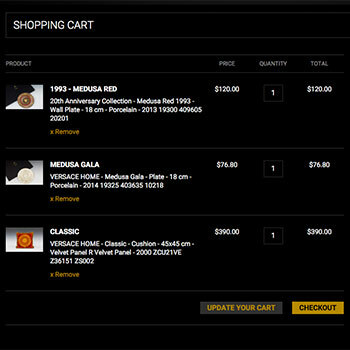 This allowed each brand to retain it’s own style while still making it a painless shopping experience for the user. No one likes a slow website. Even more so when you’re buying high end furniture. Palazzo Collezioni has a lot of huge stunning images of their products which we use at the largest sizes possible, but this caused a slight technical issue: page load times. After we worked our magic we could get the site below a 1 second load time for most users. In our industry, design is everything. Engaging Comms beautifully transformed our brands into digital format. I'm delighted.